Ever since I was little, my mom put me in Qur’an classes. Every week, I would spend 4 to 5 hours learning about our beloved Prophet, tirelessly reading the Qur’an until I was able to perfectly recite each section. Although I went each week and learned more and more, I never felt my iman (faith) growing. I never felt that spiritual awe or heartbreaking connection. Instead, I felt an annoyance, or even a fear, going into classes without having perfectly memorized a section. I became annoyed with the teachers, who were only trying to provide us with knowledge, and with the people who judged me for failing to recite the Qur’an as beautifully as them. The truth is, I always struggled to read the Qur’an. I couldn’t seem to master the articulation of the letters or understand the rules. And my teachers, although they tried their best, would always just repeat the same mantra: “read this, memorize this, and recite this.” It was a cycle in which I truly did not understand what Allah was trying to communicate to me in the Qur’an or in my life. I was becoming desensitized to the importance of what I was reading. So at a certain point, I stopped attending class. I became inundated with school, focusing all my attention on getting into a top college. I prayed five times a day simply because I knew I had to, and I read duas that had just become part of a ritual with no spiritual connection. But, at the same time, I realized this, and prayed that Allah (SWT) would show me a path and strengthen my iman. Eventually, the one thing I became obsessed with became the source of my deepest struggle. I was deferred (and eventually rejected) from my dream school. So I sought Allah (SWT). And this time, I truly sought Him. I didn’t simply repeat du’aas (supplications) I had learned, or recited surahs (qur’anic chapters) I truly had no understanding of, but I prayed with all my heart. I put my head on the ground, I cried and asked Allah (SWT) why He would do such a thing. And I wasn’t disappointed. Allah (SWT) states in the Quran: “God does not change the condition of a people, unless they change what is in themselves” (13:11). So I tried changing, and I began to seek Islam in the most unconventional way possible – through reading tweets from Mufti Ismail Menk. This is my first piece of advice to people who struggle to read the Qur’an. 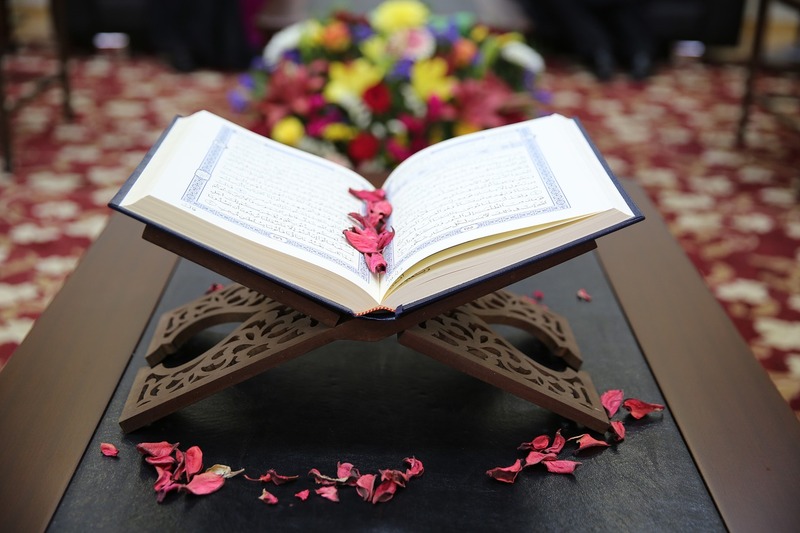 Realize that the Qur’an is not only meant for scholars but it is meant for the people, in all its practicality, and that journey to reading can start anywhere, even if it is on Twitter or Instagram. This is the best advice I can give to each of you who have struggled to read the Qur’an, not only physically by your tongue, but spiritually. Read, even if it is one line, and truly understand that line. Read it in Arabic, and then in your native language, and try to understand what Allah (SWT) is saying to you in that verse, for the Qur’an is for YOU and it is not only reserved to the scholars. So far this Ramadan, I have only gotten through Surah Al-Baqarah, but I have learned, reflected, and contemplated and have thus felt something much deeper than before. However, this is not an easy task. For there have been moments when I wished I lived in ignorance regarding certain passages in the Qur’an: passages which I have still not truly understood; passages which have forced me to put the book down and contemplate; and, ultimately, passages that have brought me closer to Allah (SWT). This is not to say, however, that I was an individual at a low point, that Allah (SWT) showed me the way, and that now I am fine and engaged in Islam. That is simply not the truth. Your iman is a journey, and there will be moments where you feel spiritually enlightened and content with your faith in the Allah (SWT), and there will be days where you simply will go through the motions. Those days, however, are important too, as they help you realize how you wish to feel. They are a sign of your faith in Allah (SWT) to bring you back to the path you were once on or the path you hope to tread one day. We’re all growing, we’re all striving to be better (hopefully)! May Allah (SWT) guide us all and make it as easy and beautiful as possible.